Notice the words of "caution" on the sign. Something must have gotten lost in translation. I think avoiding "the sharp matter and point" could apply to many areas of life. 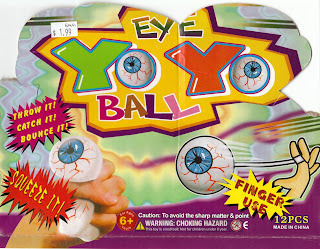 And don't forget, folks: the Eye Yo-Yo Ball is for finger use!